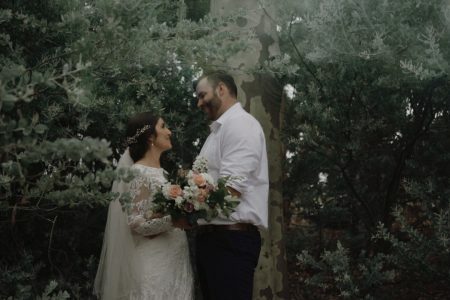 Natasha and Tony, Margaret River Wedding from Zaneta Van Zyl on Vimeo. Tash and Tony tied the knot at Tony’s family home overlooking a beautiful river valley between Margaret River and Prevelly, 3 hours south of Perth. We stayed at Tony’s family’s property for some bridal party portraits after the ceremony (as the views were amazing) and then drove in convoy with their vintage cars to the pine forest just outside Margaret River. 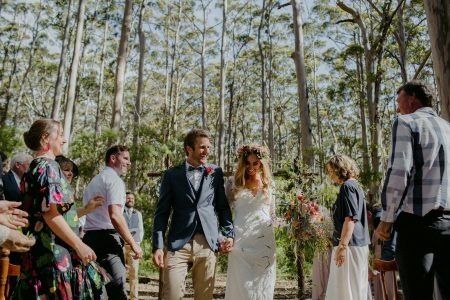 Their reception was then held at Tash’s family’s property just outside of Margaret River with a Marquee set up. 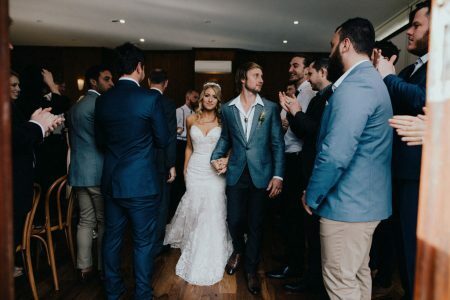 Tash & Tony were super relaxed and easygoing on their wedding day, and they pulled together a fun celebration with close family and friends. Tash, a talented make up artist did an amazing job on her own make up for her wedding day, and since Tony is a talented DJ himself, he had plenty of other DJ mates to get the party started and going all night – as soon as the music started and the formalities were finished, the dance floor was packed! WEDDING VIDEOGRAPHY PACKAGE: Full day coverage + Second Filmmaker + Storytelling Short Film, Speeches + Vows uncut.